There are many characteristics of your teeth and gums that add up to the overall appearance of your smile. The color, shape, proportion, surface texture, and positioning of your teeth all contribute to the look of your smile. The color and proportion of your gum tissue to your teeth also contribute to smile appearance. If just one of these characteristics is lacking, such as teeth that appear very stained or yellow, it can detract from all the other appealing features – attractive shape and size in relation to other teeth, smooth and chip-free surfaces, and even spacing between teeth. 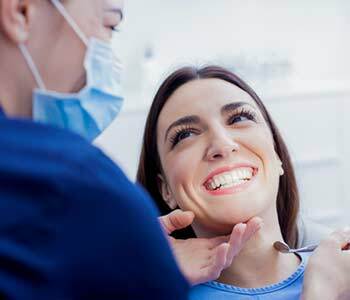 Cosmetic Dental Services in Oakville ON at Sherwood Dental bring beautiful harmony to your smile by lifting stains with professional teeth whitening, correcting the effects of wear and tear with porcelain veneers and composite resin bonding. Many of the above cosmetic services are integrated with restorative services that are designed to restore the health and function of your teeth; for instance, tooth decay such as cavities can present as visible holes or pits, and brown, black, or white surface stains. Tooth decay is one of the leading causes of tooth loss. When Drs Stephen Gaines and Arti Patel use sturdy and stunning dental materials to “fill in” these holes, complications such as abscesses or fractures are prevented, along with the dark spots and depressed areas that keep your teeth from looking their healthy best. Other restorations designed to rebuild a portion (or all) of a tooth, are equally attractive because Drs Gaines and Patel use materials and design teeth in a way that best mimics natural tooth structure. These restorations include porcelain crowns, bridges, dentures, and implants placed in the jawbone to offer superior support to the crown or denture. We are here to help you get the perfect smile. You also benefit from Sherwood Dental’s unique approach to “conventional” cosmetic services. As a minimally-invasive laser dental practice, Drs Gaines and Patel emphasize prevention. Specialized dental instruments remove tartar. Toothbrushes and floss can’t remove this form of hardened plaque. Tartar contains the bacteria that erode your teeth and inflames gum tissue. Since tartar is characterized by white or yellow hard deposits, removing it with regular professional cleanings produces a whiter smile in addition to healthier teeth and gums. Additionally, products like coffee and tea contain organic substances, tannins, that produce stains. Good home hygiene techniques recommended by Sherwood Dental help to improve the appearance of discolored teeth. Professional expertise and tools are necessary to remove built-up stains. Sherwood Dental has invested in preventive technologies and products that other practices in the GTA don’t have; for instance, the office offers Prevora anti-cavity varnish and is a certified provider of the Oravital System. These preventive services stop discoloration before it develops by preventing gum disease and its myriad health and cosmetic effects. The Sherwood Dental team practice micro-dentistry. This approach focuses on conservative procedures, the idea of removing only enough tissue to get rid of the disease. Micro-dentistry is a healthy response to “over-preparing” teeth. When only the diseased tissues are removed, a maximum amount of natural tissue remains. This is an ideal situation because preserving what nature intended best mimics natural and lifelike form or appearance. Dental inlays and onlays are an example of micro-dentistry principles at work. Why place a full-coverage crown when you don’t need it? An inlay or onlay placed only in those areas of damage may be sufficient to restore the stunning beauty and health of your smile. 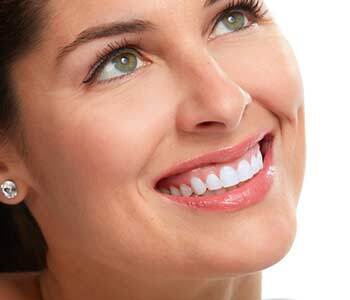 Precision technologies such as lasers also help to preserve natural tooth structure. Laser devices precisely target areas of damage, so only the damaged structure is affected. Lasers also promote fast and healthy healing and minimize bleeding, swelling, and other unwanted side effects across their many cosmetic and medical applications. Cosmetic procedures at Sherwood Dental are convenient and suited to your lifestyle. You may choose to get a many shades brighter smile in a single appointment with chairside, in-office professional bleaching, or you may prefer a gradually whiter smile with customized whitening trays that deliver powerful bleaching ingredients safely and evenly to your teeth. Trays may be worn while you watch TV or read a book, on your schedule and from the comfort of home. Porcelain veneers placed by Drs Gaines and Patel combine quality materials and conservative approaches. These shells of porcelain look like real tooth enamel, and only a tiny amount of natural enamel is removed to accommodate them. This approach reduces tooth sensitivity and conserves maximum tooth structure. Still, other patients may prefer dental bonding, whereby composite resin material is placed directly on the tooth and shaped to look like natural, flawless tooth structure – no enamel removal required! Benefit from cosmetic services delivered differently. Call Sherwood Dental at 844-951-8855 to schedule your appointment in Oakville, ON.